The ECA CMP is an executive education programme organised by the European Club Association, and designed for club professionals to gain specific knowledge dedicated to all areas of club management. The ECA CMP (Edition 3) will run over a year and a half, starting in November 2019 and finishing in June 2021. It will consist of six two-day sessions, each dealing with a different topic of club management, which will be held in some of the most iconic football venues during the national team breaks. An extra session will be held outside Europe, to broaden the perspective of the participants and complete the interactive journey. An academic partnership has been agreed with Stockholm Business School (SBS), Stockholm University. The partnership which supports the “academic” part of the programme will further enhance the quality of the sessions. A certificate will be delivered jointly by ECA and Stockholm Business School (SBS) to participants who successfully complete the course. Furthermore, the partnership with the Business School does not impact ECA’s flexibility both with regard to the programme content and the organisation of the CMP as such. LTT Sports provides bespoke programme concept, structure and content services, closely supporting ECA in the successful creation and practical delivery of the programme by drawing on many years of experience of club football from the inside at strategy, operational and field levels, as well as a visionary conceptual understanding of the universally shared needs of the football industry in a fast-evolving landscape. 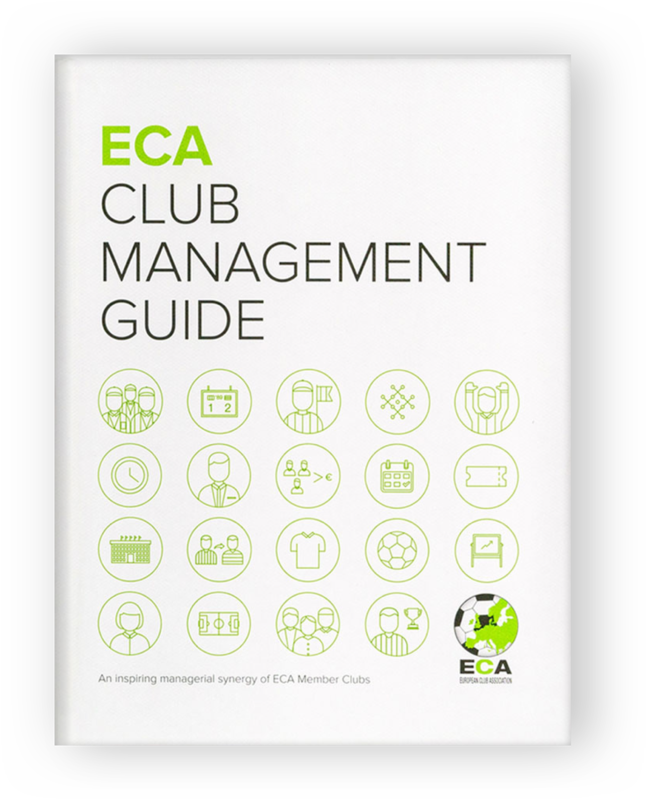 LTT Sports was already involved in the production of the ECA Club Management Guide and provided a good collaboration, support and club expertise. The objective of this publication is to provide an in-depth study of the daily business activities of a football club by sharing various club methods offering to current and future club officials real-life examples from different areas of club management. Why should you do the CMP? To think and act strategically in the challenging football environment you need to have a global platform of exchange with a growth mind-set approach. How is the CMP organised? 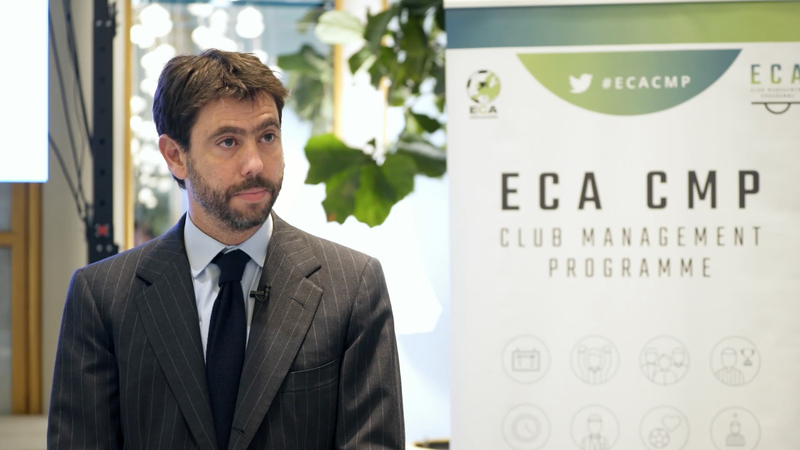 The programme is based on the structure of the ECA Club Management Guide. The sessions include academic and practitioner presentations, club case studies as well as interactive group working assignments. All applications will be reviewed by the CMP Scientific Panel within three weeks after the application deadline: APPLY HERE Payment will be done once participation is confirmed. Included in the fees is participation in all sessions and extra sessions, course materials and dinners during the session. Excluded from the fees are flights and accommodation, although there will be preferential rates provided at partner hotels for all sessions. Applications from club representatives from non-ECA Members may be taken into consideration on a very limited basis, and will be subject to individual approval from the ECA CMP Scientific Panel. The cost of the programme for non-ECA Members has been set to €10000.